A step-by-step class where you will learn to draw, measure and assemble a simple project. Gain confidence in using machinery, knowledge and characteristics of wood, different cuts, joins and techniques. Materials additional. On the first night of this course, you will be introduced to our woodworking machines and tools, and the tutor will talk you through the materials list for the class. It is not essential to buy your materials before the first class. This course is limited to 10 participants. 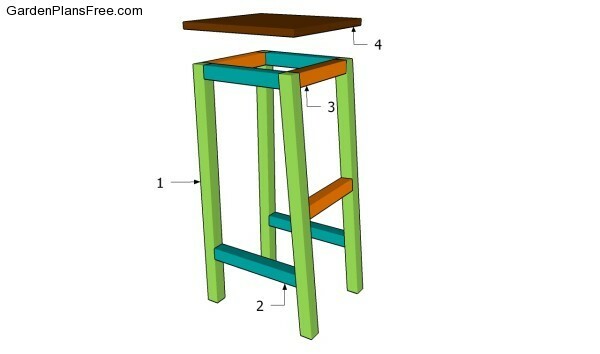 The plan below is indicative of the stool to be built but will be adapted to NZ timber dimensions. 'Loved learning new techniques and being able to do a unique project. Konrard was fantastic, very knowledgeable, great rapport, friendly and helpful. A perfectionist. Thank you Konrard! Much appreciated."